Yesterday, I read about a 394-metre glass phallus that has just been cleared for construction in the middle of that Russian jewel St Petersburg. It's going to be Gazprom's new pad (here). But what the oligarchs of today are building, the leaders of the past have already built. Looking at this, I recalled a couple of fascinating examples of architectural megalomania. 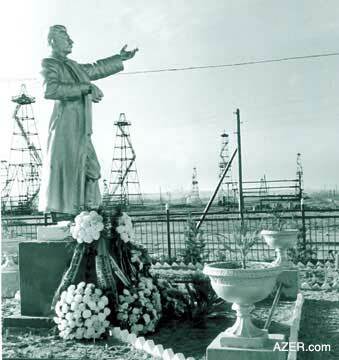 And then this aria-singer on an oil field. And lest we forget the heinous dictator of sweetcorn. Truly heinous.